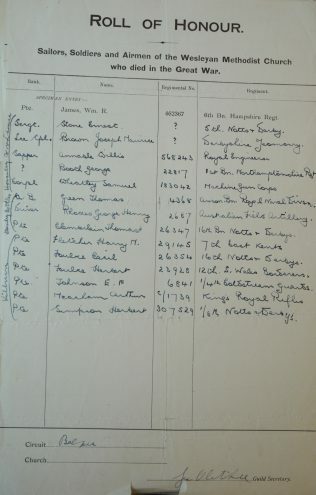 The fallen from three chapels are recorded on this document. Sergt. Ernest Stone 200981 5th Bn. Nottinghamshire & Derbyshire Regt. Pte. George Booth 22817 1st Bn. Northamptonshire Regt. Pte. Thomas Chamberlain 26347 16th Bn. Nottinghamshire & Derbyshire Regt. Pte. Harry M. Fletcher 29145 7th Bn. East Kent Regt. Pte. Cecil Foulke 26354 16th Bn. Nottinghamshire & Derbyshire Regt. Pte. Herbert Simpson 307529 1/8th Bn. Nottinghamshire & Derbyshire Regt. 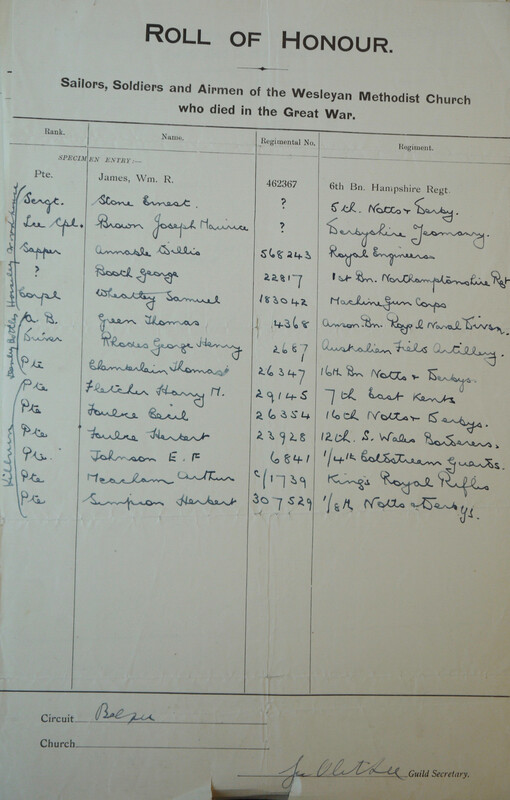 Additional source: Commonwealth War Graves Commission, where full details of these men will be found.